Hereafter i will be regular and will complete this ff soon. Thank you evryone who read and like this FF. Thank you my friends for your lovely comments. RagSan were sitting in ice cream shop. Voice: oh, you guys are here only. Kavita stands infront of them. Sanskar and Ragini smiles at her. Sanskar: hey, hi. What a surprise! What are you foing here? Usually you will not wake in weekends if thunder fall on you also. (Ragini laughs) but today you are wandering here. What, shopping ah? Ragini excuses herself to go to rest room. Kavita: from when you started avoiding me Sanskar? Sanskar(puzzled): what? Avoiding, me? When i avoid you? Kavita: then why you didn’t tell me that you are coming to forum today? Sanskar: hey, Kavi. I thought you would be sleeping. Kavita: don’t try to manage Sanskar. After she came you totally avoided me. He is about to tell her love interest on Ragini, but he stops after seeing Ragini’s presence. Sanskar: when did you come? Ragini: just now , Sanskar. SwaLak comes to their table. Laksh: let’s go. I need rest. Laksh: hey, Kavi. What are you doing here? I told you to come to 5th floor only na. SanskarPOV: you are the one who did this good thing ah. I will deal with you after went to home. Laksh bit his lips for blabbering and look at Sanskar innocently. Ragini: Swara, why you returned empty handed? Whether you bought anything or not? Swara: no, i didn’t buy anything. Nothing is great there. Laksh: you know what Ragini, if you ask me to die means also i will die. But if you send me with your sister for shopping means i have to admit myself in hospital only. Swara(casually): i just gave you trainning. If you get marry, then you have to do this for your wife. Sanskar(completes sentence): marry and will live like a saint. Ragini: then, shall we go? Swara: what? I want ice creams. Ragini: ok, i will buy for your. But you should eat it while going. Swara nods. Ragini buys ice cream for all. Swara takes Ragini’s ice cream also in her hand. While they were walking in road, Swara opens one ice cream, Swaragini see two children looking at ice creams. Immediately Swara give her ice creams to them. But they both turn to another side. There stands nearly 30 kids with few nuns. They understood them as orphans and Ragini again went to ice cream parlour and buys ice cream for all kids. She give that to the kids. Swara takes that kids to the group of kids. Ragini: Sanskar, if you guys have any work, you go. We will go to hostel later. Sanskar: we will be with you, if you lost your way. Ragini: i remember the way perfectly. It’s nearby only na. I will manage. Also, see Laksh is tired. Laksh: it’s ok, Ragini we will wait. Ragini: then 2 minutes, i will be back with her. She crossed the road and join with Swara. SanLak look at them from another side. Ragini takes her mobile and transfer fund to orphanage account from her account. Then they note down orphanage address and joined SanLak and Kavi. At night, Sanskar room. Sanlak were sitting in couch. Sanskar: why this is not hit our mind? Laksh: why we stand there like statue? We should also help that kids. Sanskar: how kind Ragini is? Laksh: Swara is also, it’s really great thing she offered her ice creams to that kids. I understand her character today only. Sanskar: you know what, today what happened? Ragini had the ice cream, which i had. Sanskar: now only i remembered. Why you called Kavita? You know na, she is so possessive. Laksh: i called her to give company to me. But she came to you. What can i do? Sanskar: i don’t know why she is so much possessive on me. Laksh: you suddenly behave strangely with her. May be because of that, she will be like that. Sanskar: i will speak with her tomorrow. Let’s have some sleep. Ragini: Swara, why Kavita is not speaking with us? Swara: i don’t know, then i don’t care. Ragini: she is our friend na. Swara: small correction, she is Sanskar’s friend. Ragini: i think she thinks that i am coming inbetween their friendship. Swara: do you think she is in love with Sanskar? Ragini: definitely not. She is just his friend. Swara: then this is her problem. She only misunderstood you. Don’t think much. However, one day she will understand. She turn off the light and thinks about that day’s moment. 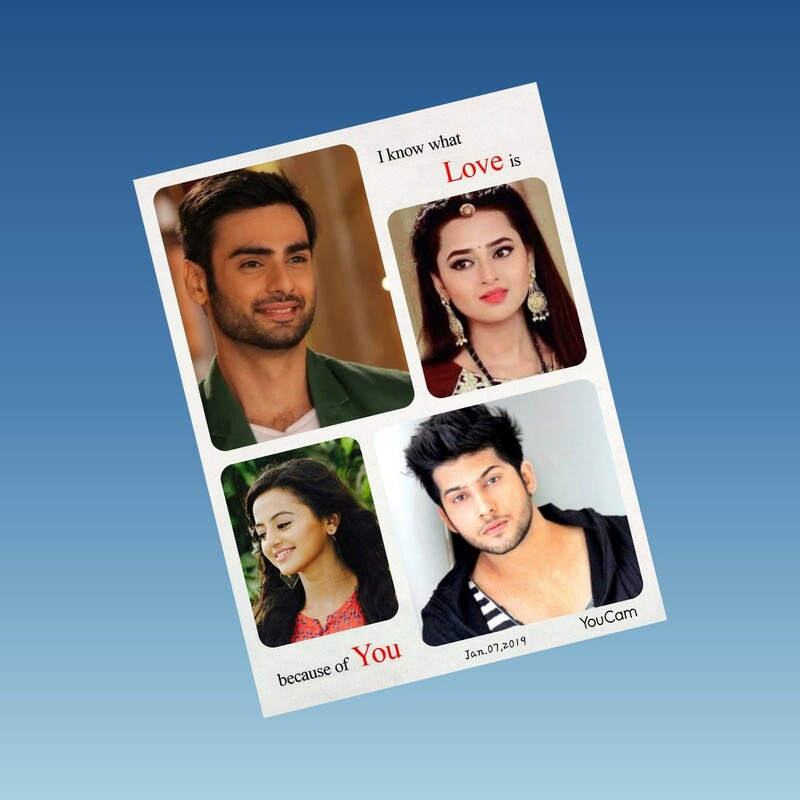 How Sanskar told her I love you and when she turns to him, he pretends like reading the words in photo frame. Ragini POV: why that can’t be true? I love you Sanskar. Unknowingly smile crept her lips. Here, Sanskar also thinking same, how she grabs his ice cream and taste it like kid. Sanskar POV: Why this shouldn’t last for long.? I want to share my everything with you like this. I love you Ragini.